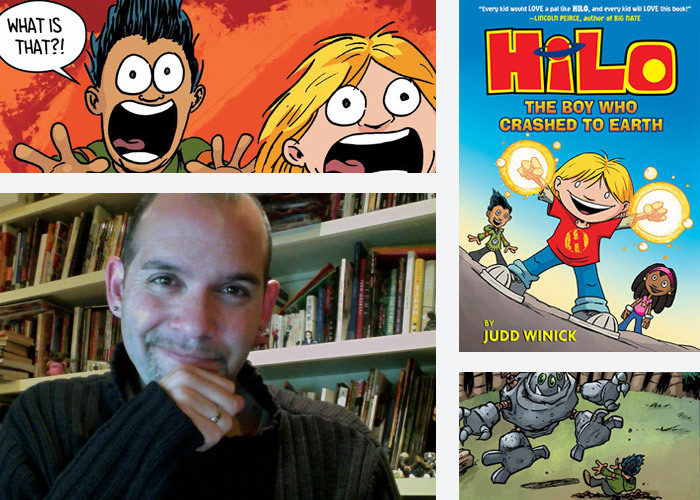 Judd Winick is an award-winning cartoonist and has scripted bestselling characters including Batman, Green Lantern, and Green Arrow and characters for "Justice League," and "Star Wars." He was the head writer on the Hulu network’s animated series "The Awesomes." Judd also appeared as a cast member of MTV’s "The Real World: San Francisco" and is the author of the highly acclaimed graphic novel Pedro and Me, about his "Real World" roommate and friend, AIDS activist Pedro Zamora. Visit Judd and Hilo online at www.juddspillowfort.com and follow @JuddWinick on Twitter.